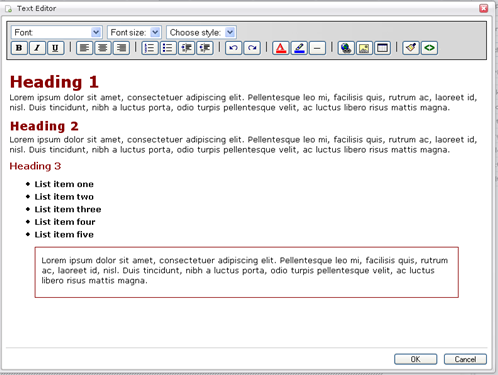 Few days back i had a chance to test Synthasite, a new web based WYSIWYG editor. 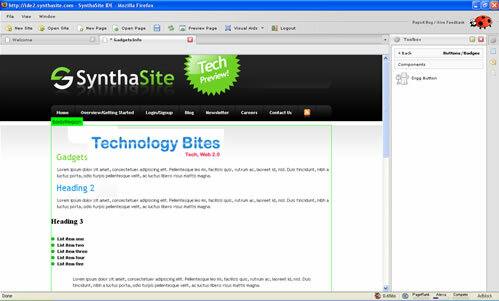 With Synthasite one can create web pages in minutes. The site is currently in private beta and has some basic features but it looks impressive, when they add full set of features it becomes killer application. 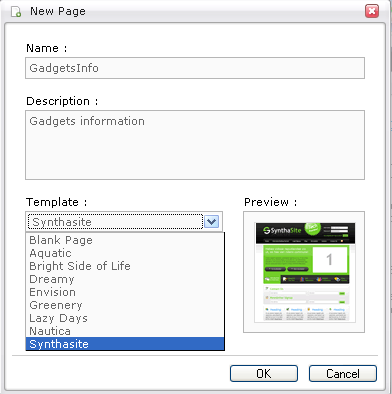 Synthasite tool uses AJAX for drag and drop elements and it is easy to use. 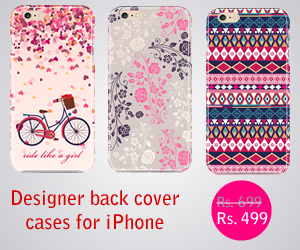 One can easily create web pages with drag and drop text boxes, image place holders, pre-made templates, buttons. In addition to these you can also embed Youtube videos and Flickr Photos. 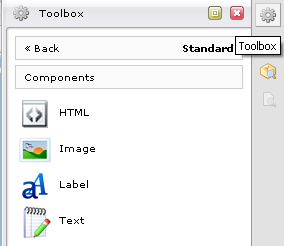 When you open the tool you will have a tool box on the right side of the screen, select the components like image, text box, media from the tool box menu and drag and drop on to the page. After that double click on the component you just added to the page, now you can change parameters for media types or enter text for text boxes. Overall it looks like a cool application with nice design and some interesting features. Synthasite has a long list of features coming, checkout the roadmap for a complete list. The new features expected includes Template library, social/collaborative site building, hosting, file management etc. Synthasite has some invitations left for trying the software, check out if you want to test the application. What I would have done for something like this back in the day. I could have definitely used this a few years ago haha. It looks like it will be a great app once it’s finished. I’m not sure that how they’ll compete against Google Page creator. What do you think? That’s a good point, but if they can add all the features mentioned in their roadmap i am sure that they will beat google page creator. webpage-maker.com ..one of the best tools around to create web pages..
anther great tool in bluevoda…synthasite also seems to be good. Webpage maker may be a good tool, but its not free, you have to buy and moreover its not web based its a desktop application. It is definately a great service . I know the hassle of the way we make websites now well, I think Synthasite in on to something, on to the way it will be done in the future.